Custom designed condo located on the Big Sky Golf Course. Views to Lone Peak and the golf course were a driving force for the overall design. The Mountain Contemporary aesthetic is evident in the interior shots of The 19th. 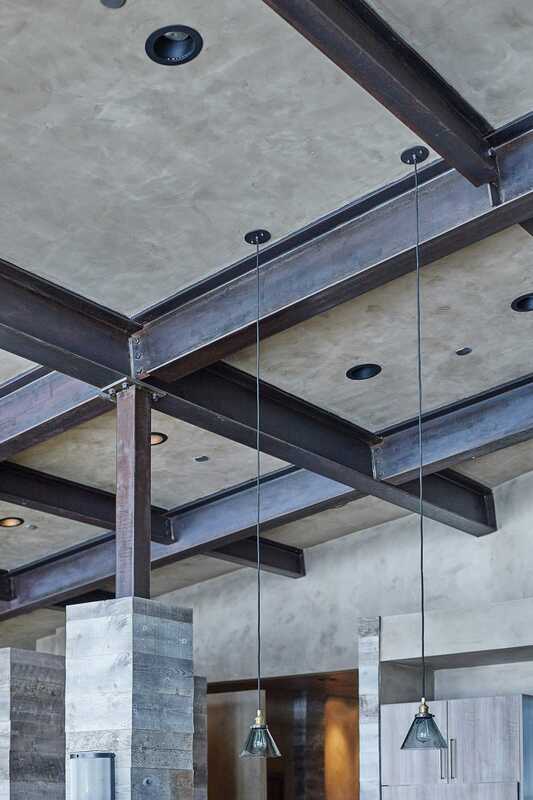 Steel beams and columns drive into reclaimed wood interior walls and columns. Steel faced interior walls add a touch of contemporary, which ties into the custom fireplace. 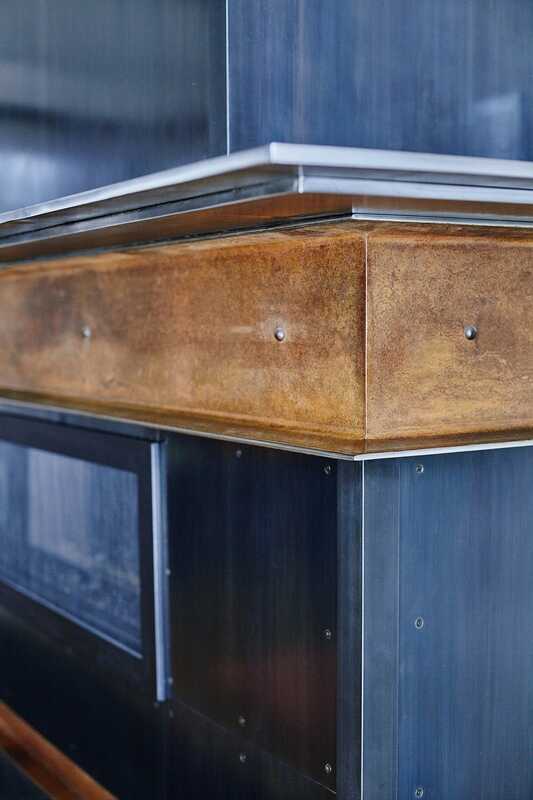 The fireplace is done purely in steel and copper C-channels. The steel details throughout the interior are exquisite. Clean lines and raw materials enhance the views to the exterior. The exterior of The 19th compliments the aesthetic of the Mountain Contemporary interior.